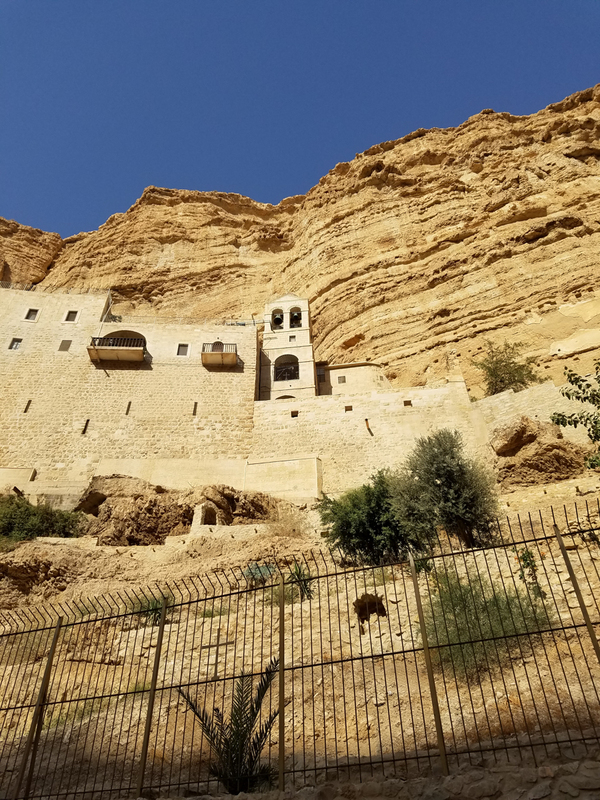 In November of 2016 after I had conducted a tour to the Holy Land I remained a few days in order to explore some of the monastic establishments in the desert. The monastic charism is very vital to the life of the church but oftentimes underestimated by the average Christian. 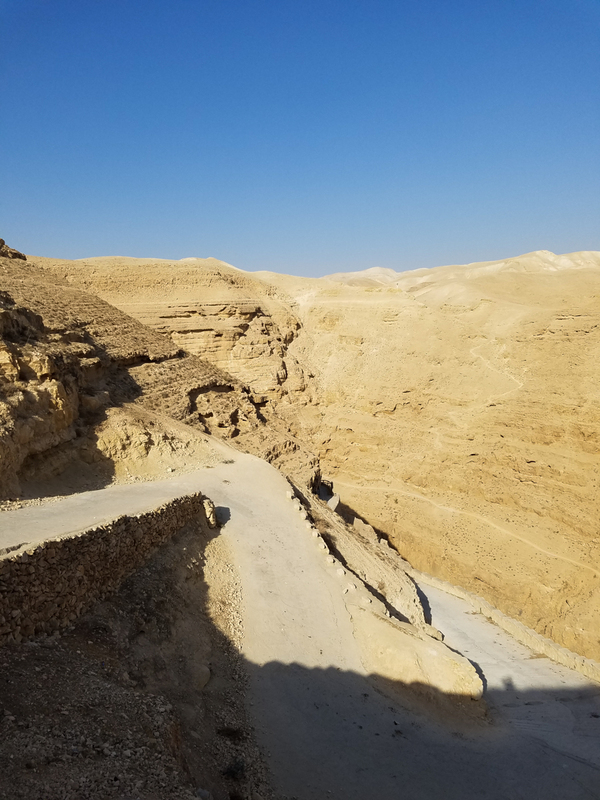 Early in the morning I left Jerusalem and drove on the road from Jerusalem to Jericho. 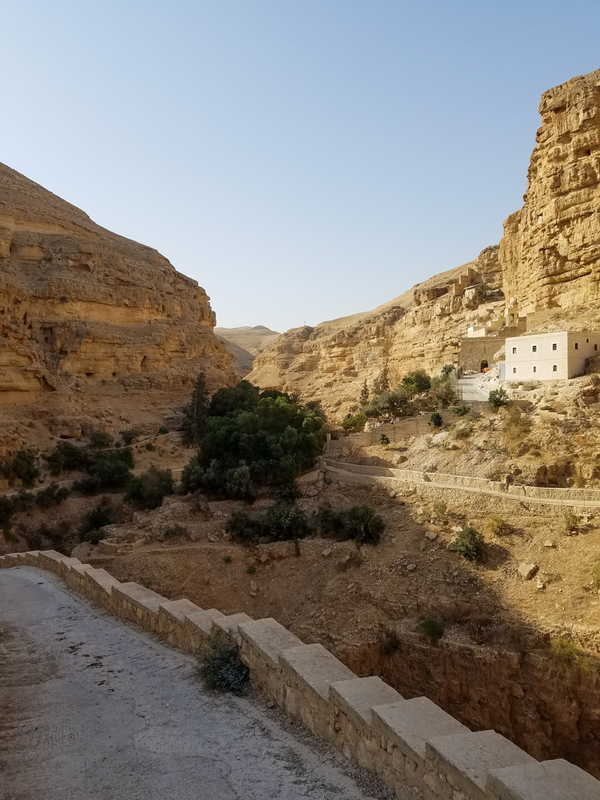 The monastery is located on Wadi Qelt which parallels the road leading to Jericho, setting of the story of the Good Samaritan. 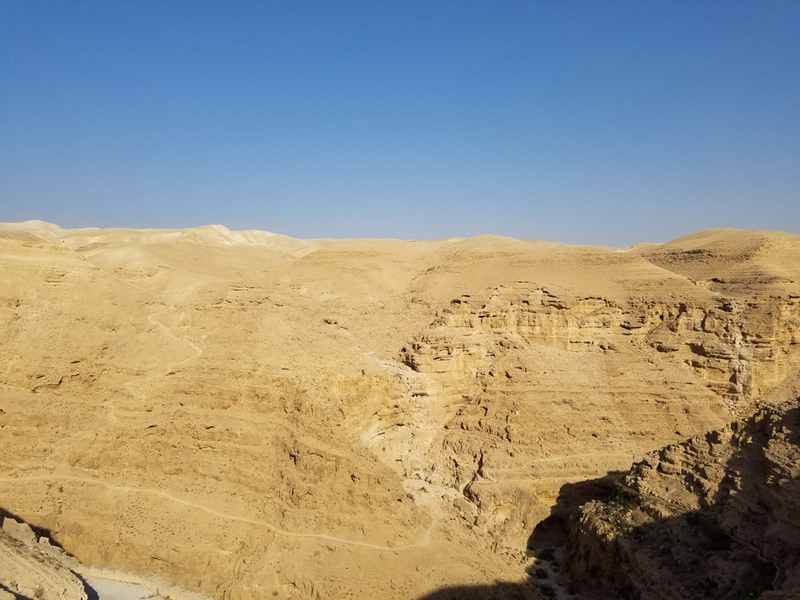 I walked through the valley, which some relate to Psalm 23, the “Valley of the Shadow of death,” about an hour’s walk through the desert to the monastery. 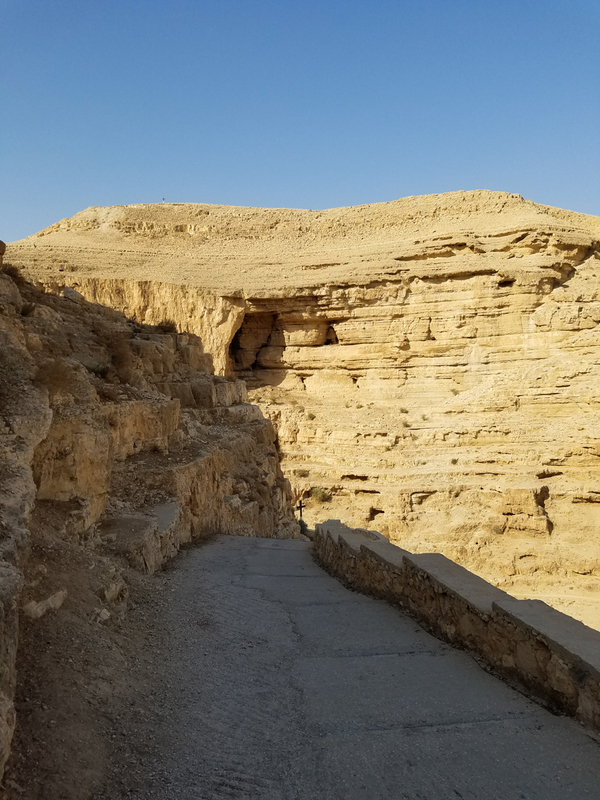 In the 4th century several monks gathered in this location where they believed Elijah had been fed by ravens. 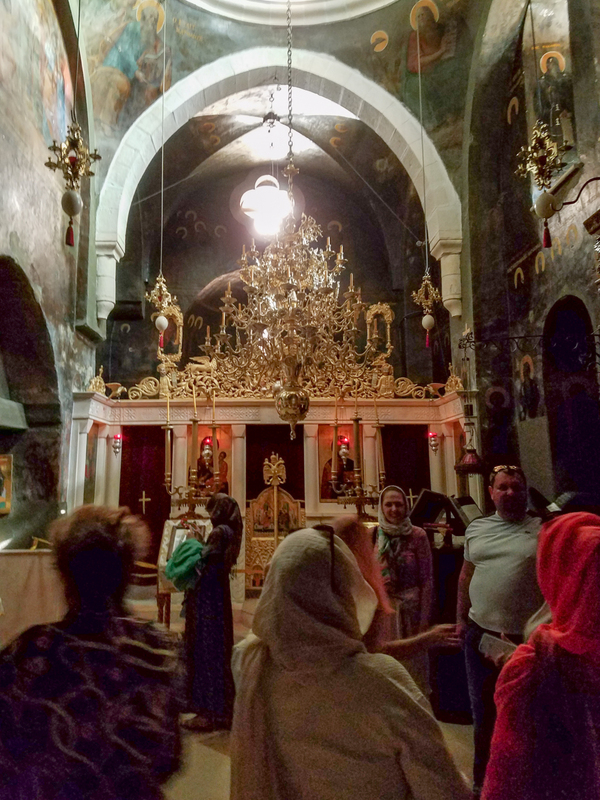 Walking to the monastery of Saint George of Choziba. 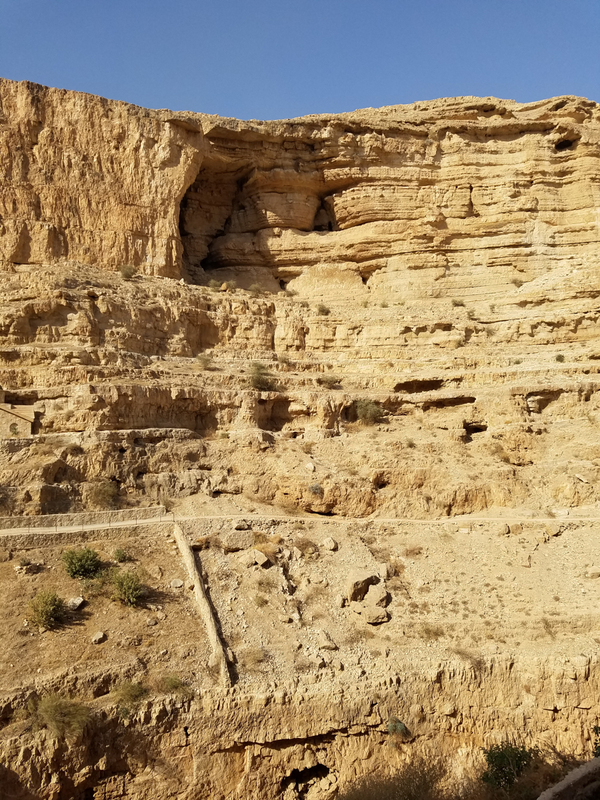 Not far from the city of Jericho, as I walked through Wadi Qelt, under the cliffs of the mountain, the monastery is situated by the river’s northern bank. A footpath descends over a stream bed and then continues to the monastery. 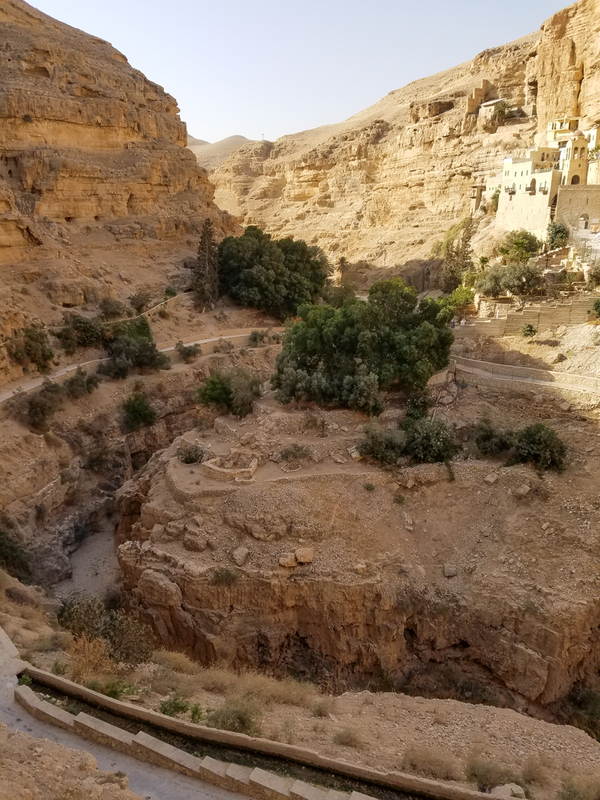 Here in the heart of the Judean desert green trees flourish sprouting from the rocky terrain surrounding the stone buildings of the monastery. In the early 5th century several monks lived in cells in the cliffs. John, a monk from Thebes in Egypt arrived about 480 and established a monastery dedicated to Mary, Mother of God. 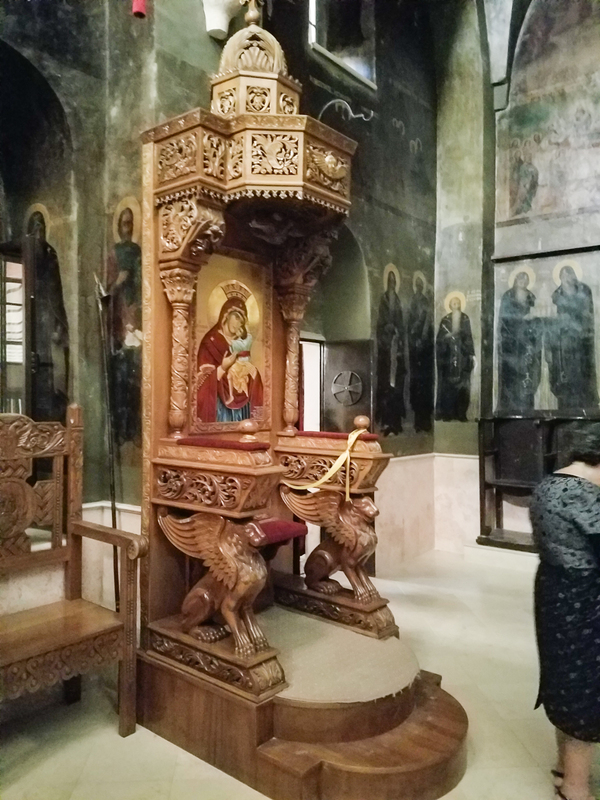 This is the icon screen in the monastery Church of Saint George. 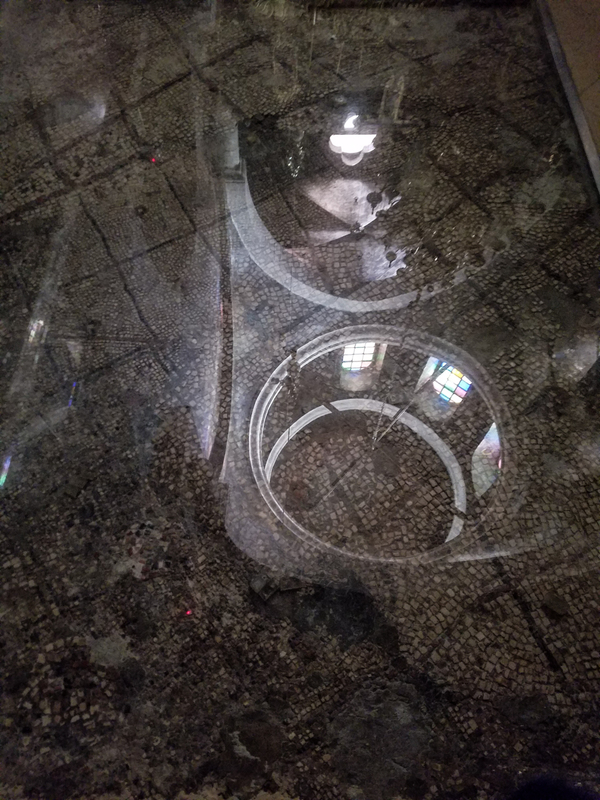 Central Dome of Monastery Church. Bishop’s chair in the Monastery Church. 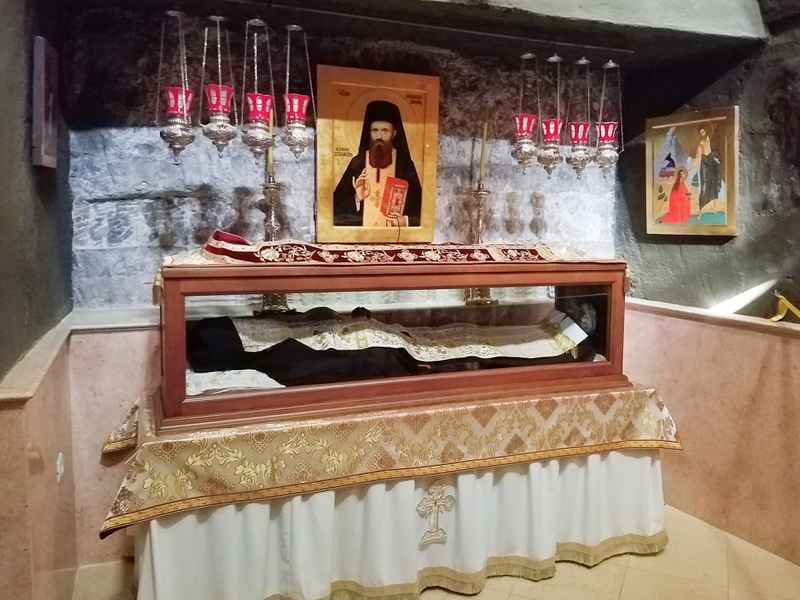 Tomb of Saint George of Choziba. He survived the Persian conquest in 614 and died in 620 and was eventually canonized as a saint of the church. Exterior of the church of the monastery of Saint George. Notice the natural cave formations in the side of the mountains where monks established their cells for solitary life. 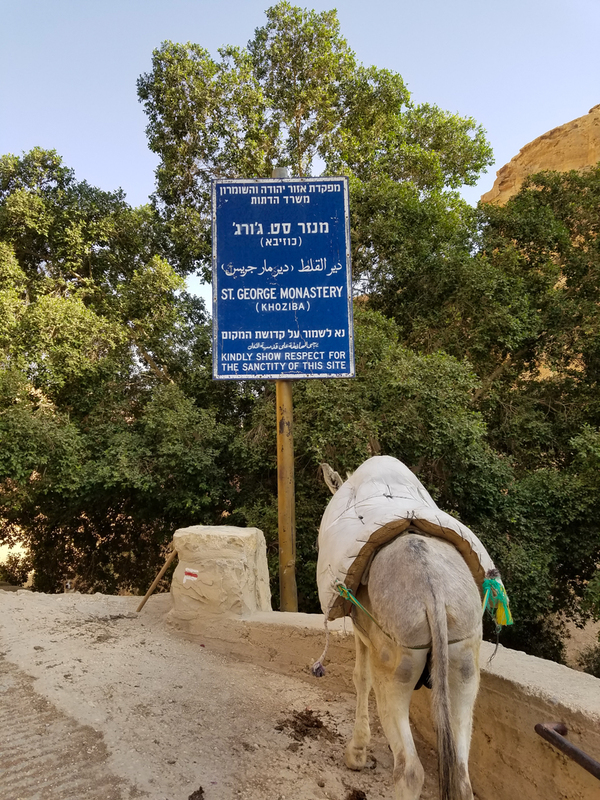 This entry was posted in Christianity and tagged Holy Land, Khoziba, Monastery, Saint George, Wadi Qelt on April 25, 2017 by frjfkauffmann.